Social media presents countless opportunities but those are only worth if you see the true value. What do we mean by that? A number of affiliates do not have performance metrics in place to measure and evaluate the impact of their social media presence. Simply put, they have no idea if they are successful or not. Is that the smart thing to do? Of course not because such performance metrics allow affiliates to run their social media activities more effectively, as well as maximize their impact. 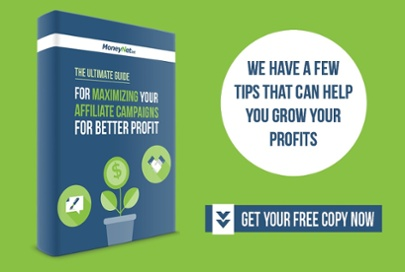 This all translates to a better affiliate traffic and more profits in the end. However, you can’t improve what you don’t measure. Well, you can but not in the right way. For that reason alone, it is important to track the various metrics of social media so that you can get an idea of where you are succeeding and where you need to step up your game. 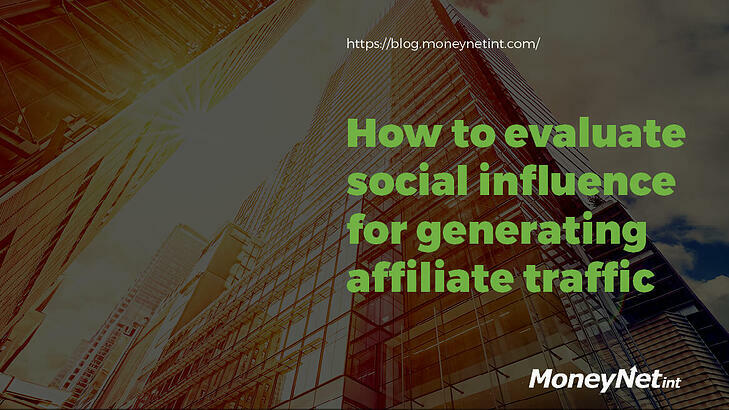 Naturally, some metrics are more important than others so sit back and let us do the explaining on how to evaluate your social influence for creating affiliate traffic. All those likes, followers, comments, shares, favorites, pins and else have a common name in the affiliate social media world - vanity metrics. While the name may not be pretty, the metrics themselves are quantifiable figures of your social presence. With practically being the currency of social media market, they are crucial indicators of the work you put in and can indicate if your online presence is any relevant or not. “Vanity” metrics matter for quite a few reasons. They validate your effort. You can have top-notch quality content that is super-relevant but without followers, you have no audience to pass on that content. Perhaps social media is even more specific in that regard as social networks these days employ different algorithms that make it harder for a follower to reach your content without a consistent level of engagement from you. Every like, share, comment and such presents a valuable piece of information that shows people care about your content. Look at it from a different angle. When someone clicks that holy-like “follow” button, they are willingly allowing you to occupy the space within their social feed. Further action like sharing your posts means they are attaching themselves to you and connecting mano a mano, all within the confines of a public forum. With “vanity” metrics, you also get real-time insights you can use to enhance your social media investments and change your social strategy on the go. Just because followers, likes, retweets, and others are important to you doesn’t necessarily make them valuable to your affiliate network or manager. To put it bluntly - they don’t care how many new followers or shares you have, all they care about is whether you and your social media are helping achieve their objectives. Thus, your social media objectives should align with affiliate business goals. This is where conversions enter the spotlight. A conversion is a different goal from business to business, depending on the nature of the business and its goals. It can be something like a sign up for a newsletter, adding an item to a cart, increase in the number of followers on a specific social platform or the ultimate one - a sale. 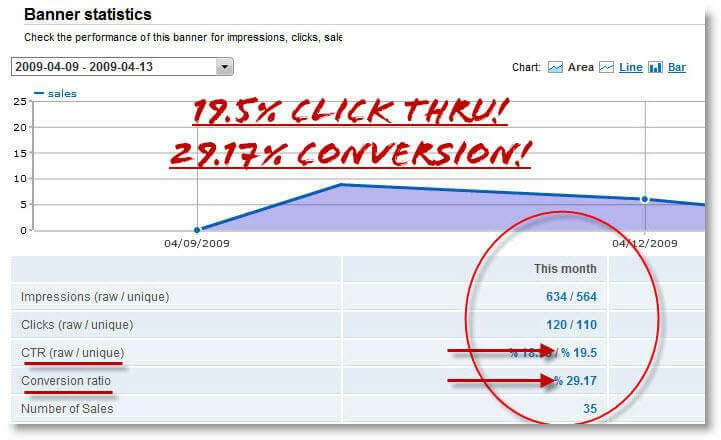 Attaching conversion goals to your social media effort will enable you to track the conversions that are directly contributing to your bottom line, as well as identifying where a campaign may be coming up short or simply costing you more than it is bringing value. There are loads of adequate social media analytics tools that can help you gain insights into your social media operations. The fact that some social networks like Facebook and Twitter have built-in tools for the jobs shows just how important this practice is. Granted, they don’t have some super-advanced features, but they are good enough to track the basics - likes, comments, tweets CTR and reach. For a more substantial analysis that includes things like CPA (cost per acquisition) to CLV (customer lifetime value) to year-over-year growth and so on, you’ll need more firepower. Google Analytics, seeing as it’s free and easy to integrate virtually anywhere, is a good start. Still, if you find GA somehow limiting, there are always paid services like Hootsuite, Klout, Brandwatch, Keyhole or just upgrade Google Analytics to a paid subscription. With these tools, you will be able to recognize and track the origin of all the clicks, identify which content is performing up to your standards and which isn’t, see which campaigns, as well as content are leading to conversions and much more. Looking at the big picture, this is critical information you simply must have in order to make some social media adjustments and investments. There’s not much point in talking about these issues without profiting from it, right? You should think about what you do and compare it with the different capabilities of each social media platform you occupy. Facebook is an all-around platform as you can post photos, video, articles, polls and so on. YouTube allows you to share your video content, Twitter lets you quickly share bits of information with text or photos or links for more substantial information, Instagram’s niche is mainly photos with a smaller percentage of videos… The list goes on and on. The point being is that you should use each capability to your benefit and look for affiliate networks with similar interests and high-paying commissions to make the most out of it. To say that social media can be overwhelming would be an understatement. With the vast opportunities it presents, social media demands a concentrated effort in generating enough affiliate traffic. By setting measurable goals, you will be able to use those metrics to your advantage. Keeping tabs on your follower growth and engagement rate on a frequent basis is important for the evaluation of your social influence. While “vanity metrics”, such as they are, are important when it comes to brand awareness and customer impact and reach, tracking more substantial, in-depth metrics provides insight into if your social influence is creating the results you are looking for.